The Brookside Shops have been fulfilling the vision for the absolute best in neighborhood shopping, dining and services for nearly a century. Generations of Kansas Citians have turned to the Brookside Shopping District to meet their everyday needs along with the extraordinary, too. Located at 63rd Street, between Main Street and Wornall Road, over 80 shops, restaurants, and service providers call this area home. 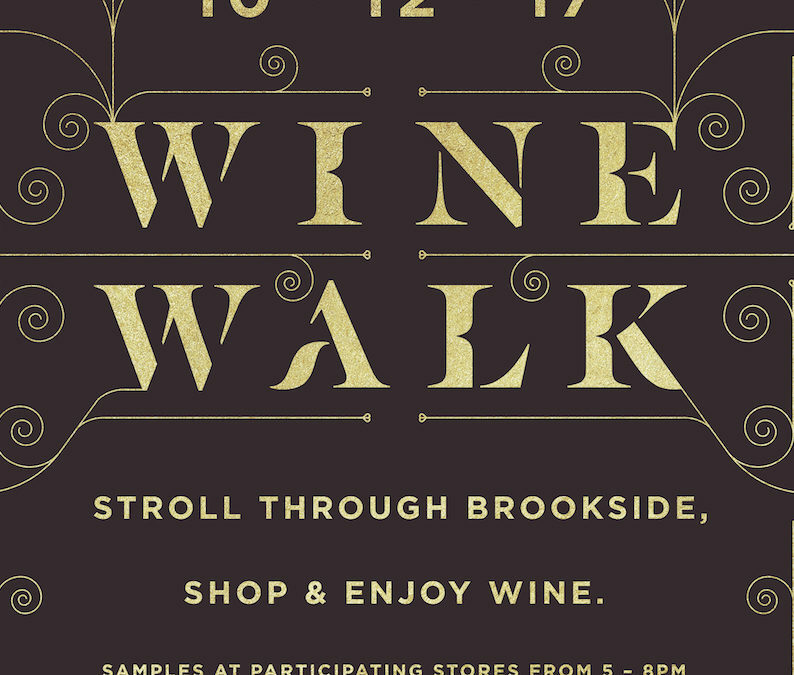 The goal of the Brookside Wine Walk was to bring in new people to Brookside and increase foot traffic. By serving free wine and drinks at local businesses, visitors were encouraged to wander throughout Brookside and check out the participating local shops and restaurants. Encourage visitors and locals to explore the Brookside business district and bring new people to the area by offering free beverages and a passport with participating businesses. 1. Join us Thursday, October 12th for an evening of wine samples and local shopping. 2. Stroll through Brookside and sample wines at participating local businesses, then make an evening of it with dinner at participating restaurants. 3. Wine passports are available at participating merchant locations so that visitors can check off shops and restaurants as they toured Brookside. The event was such a success that participants asked if there could be commemorative swag next year. The Facebook event reached 199,045 people and earned 6,380 responses. 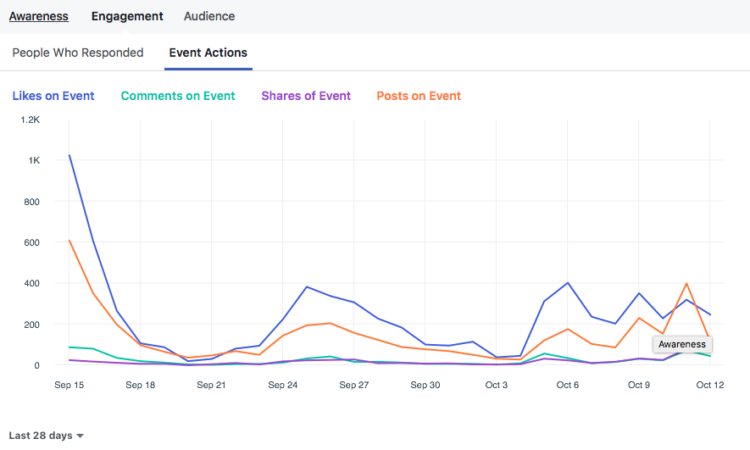 In the month of October, Facebook engagement increased 16% compared to the previous month, reach increased 30%, and page views increased 50%. We earned 101 new page likes (a 114% increase), surrounding the Wine Walk event.